How to win the winter | Clarke Office Concepts Ltd.
Winter may make us experience feelings of sadness and depression, but don’t let the cold bring you down. 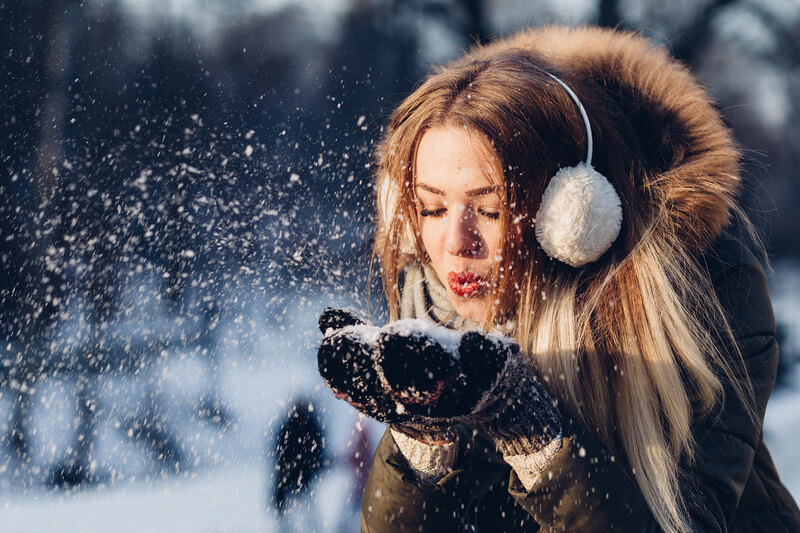 If you find yourself suffering from the winter blues, check out these ways to keep busy and warm all winter long! The cold weather doesn’t mean you have to give up on your interests and park yourself in front of the TV until summer. To keep yourself occupied, take up a new hobby that you can complete indoors, such as writing, reading, painting, puzzles or cooking. Having a hobby you can do in the winter will help keep your mind occupied as well as add some fun and variety to your evenings. If you’ve grown tired of the decor in your house, then why not give your house a well needed makeover. Don’t think of huge changes like knocking down walls or completely remodelling your kitchen. Try giving your living room a new paint job, hang up some new pictures up around your house or simply rearrange the furniture. All are great ways to update your home and give it a fresh feel without breaking the bank. We all know winter brings a lack of sunlight and many people commute to work in the dark, spend all day inside working then go home when it’s dark again. So why not bundle up and get outside on the weekends, expose yourself to natural light, open your curtains and sit close to windows when possible. Another way to feel the warmth during the winter is to carry out random acts of kindness. You can volunteer almost anywhere and there are millions of charities that would appreciate more help. Or simply make someone close to you smile with a thoughtful gesture. Scientists carried out a study which found that people who participate in daily acts of kindness over 10 days experienced a significant happiness boost. Making someone else happy can make yourself happier too. While you may be tempted to indulge on comfort foods in the winter, research published in the Public Health Nutrition journal found that people who consumed fast foods were 51 per cent more likely to develop depression. In light of this, we encourage you to include more nutritious food options in your diet, particularly those containing vitamin B such as chicken, soya beans and fruit. Vitamin B helps the brain produce serotonin (a chemical which helps to balance moods). Laughter is one of the best medicines out there, it will help reduce stress and lower the chances of being depressed. Studies have found that even the anticipation of laughter can help to reduce stress levels and lift spirits, but many of us don’t laugh enough. Easy ways to increase your laughter is to go out with friends, watch your favourite comedy movie or read a funny book. CNIB seeing beyond vision loss	2018, Here We Come!